We are a cleaning company that has built its reputation on cleaning the premises of some of the country’s most recognisable brands. In addition to our core cleaning, we can deliver additional services that can be tailored to suit your individual requirements. Office cleaning is an area of expertise for City & Essex and the cornerstone of our business. Pristine offices raise morale and leave a lasting impression on visitors. That’s why it pays to hire specialist office cleaners like us. Cleaning workspaces is what we do best. We’ll ensure your offices are well presented, hygienic and ready for productive business at all times. Our team maintains offices all over the City and South East. We also provide janitorial services to keep your washrooms sparkling clean. Whatever your needs, you can rely on our experience and expertise. Because windows are integral to the appearance of buildings, our team will meet any challenge to keep yours immaculate. 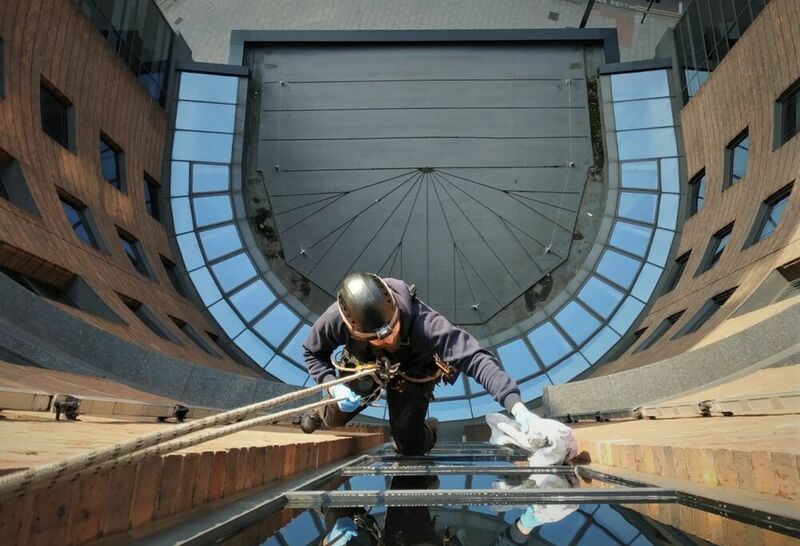 Advance Cleaning, the window specialists who have maintained the Gherkin amongst many other key London offices, are part of the City & Essex group and can help meet your precise requirements the challenge. Our specialists are highly trained, fully insured and safety aware. If some windows are inaccessible we’ll find a technical solution – whether it’s through abseiling, hydraulic platforms or cradles. We use all the latest techniques to ensure a first class finish. As leaders in our field, we appreciate the importance of presentation on the shop floor. Our experienced team relishes this responsibility and will be a real asset to your business. 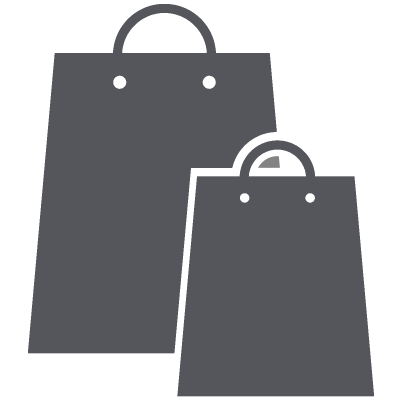 We maintain several high profile retail outlets. Our services include monitoring and maintaining washrooms. Many clients appreciate this additional janitorial support. Regular cleaning keeps properties looking their best and maximises their value. Because we work closely with several landlords we’ll understand your requirements fully. 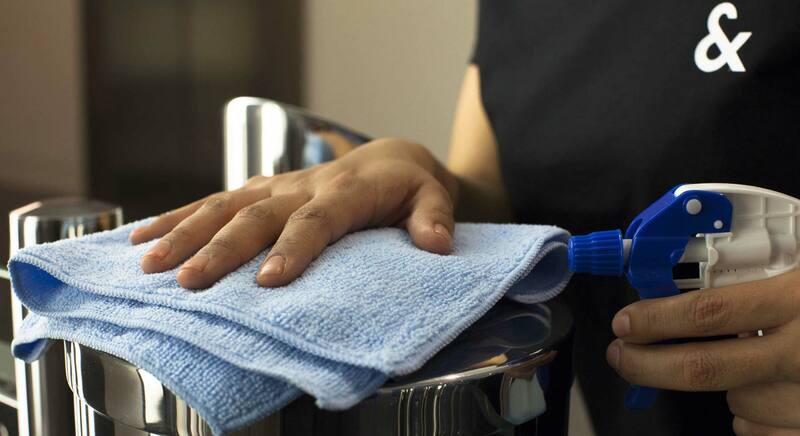 Our dedicated housekeeping service keeps properties well presented both inside and out. We offer regular weekly or monthly cleans, plus an intense deep clean when you’re between tenants. Maintaining schools and colleges can be a challenge for some service providers. Fortunately we have the resources and expertise to handle any contract. We’re flexible, responsive, proactive and reliable. Our experienced team will fit around your timetable and keep your buildings spotless. Every organization wants the same thing: the best products at the best prices. Thanks to our extensive industry contacts, we can deliver just that. We provide the full range of janitorial supplies – from hand towels and toilet tissues to liquid soap and waste sacks. As responsible suppliers, we also offer a broad range of environmentally friendly products too. Pristine, hygienic washrooms are a must. You can trust our experienced team to get on with the job efficiently and quietly. Our people are meticulous, reliable and discreet. We provide a broad range of air fresheners, feminine hygiene disposal units, vending machines and a seat sanitizing service. We also provide water management and one-off deep cleans. With strict health and safety regulations, kitchen hygiene has never been so important. We understand the issues and can offer you total peace of mind. Our team provides the full range of cleaning services – from daily maintenance to a deep clean of all your catering equipment. We also perform extract and ductwork, plus HVAC and Water System Maintenance to control Legionella. All our services are backed up by full photographic reports and certification. You can rely on us. Waste management has become a huge environmental issue. As a responsible company we oppose landfills and aim to recycle 100% of the time. Our multi-cycling, paper recycling, and confidential waste collection services suit commercial premises of all types and sizes. We also provide necessary waste bins. All waste is disposed of in an ethical manner. Effective maintenance can prolong the life of an office carpet for years. Our specialist team has extensive experience in all the techniques available - dry powder, hot water extraction and bonnet buffing. We also offer upholstery, leather, curtains and Venetian blind cleaning services. Technology plays a vital role in any workplace. We will ensure your devices are well maintained, hygienic and well presented. Our specialist team is fully trained to clean IT equipment. We maintain telephones, desktop computers, laptops, photocopiers, faxes and printers safely and efficiently. We also provide carefully planned and monitored services to client data centres. Flowers and greenery brighten up any working environment. Our gardeners can supply and maintain attractive floral and plant displays inside and out. Our experienced team provides the full range of services: landscaping, grass cutting, tree surgery, topiary, general maintenance and graffiti removal. Your prized aspidistra will be in safe hands. All pests are unpleasant. Our fully qualified and experienced team can deal with them all quickly and effectively. We provide both preventative and control services for all common pests: rats, mice, pigeons and insects. We are discreet and highly efficient. Architects often differentiate buildings by the use of marble and natural stone. This can look beautiful for many years when properly maintained, but tired and unimpressive when kept incorrectly. Our specialist teams know exactly how to preserve fine stones so they look immaculate for longer. Towels, cloths and uniforms look better and last longer when cared for correctly. Using the right detergents and procedures can really improve the way they look and feel. Our expert team will take great care of your laundry and textiles – from roller towels to bath towels, tablecloths and uniforms. We can also clean dust and entrance matting.